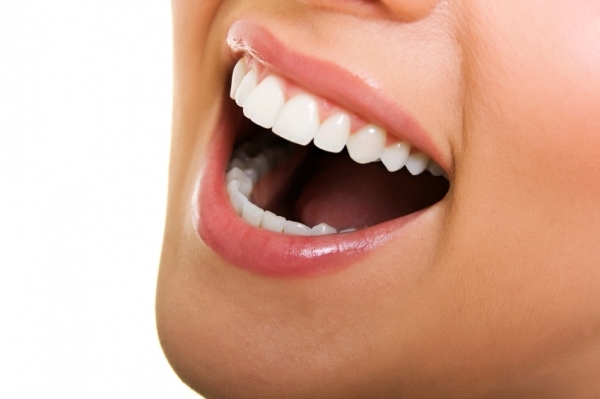 At NYC Smile Design, we pride ourselves with being able to provide an array of services and options for our patients. We believe that choice is your right and our experienced cosmetic dentists Dr. Elisa Mello and Dr. Ramin Tabib work with you from the start to create a customized plan for your specific needs. When you have large cavities or wish to replace an existing metal filling, we offer the options of porcelain inlays and onlays to give your teeth back their natural feel and shape. If you’re interested in porcelain inlays and onlays or wish to learn more, contact our Manhattan office today at 212-452-3344 to schedule a consultation. We transform smiles to those who live in New York, NY. Modern cosmetic dentistry has afforded us with advances in technology to help create custom-made fillings to address structural issues with your teeth. Porcelain inlays and onlays are natural-looking fillings that help repair the surface of your tooth so that they will be stronger while helping to prevent future dental issues. Both porcelain inlays and onlays are great for teeth with cavities that require a repair less extensive than a dental crown but are serious enough to need something more supportive than a dental filling. They’re also great for teeth that have small cracks or fractures that require restoration. Porcelain inlays and onlays are a conservative choice that ensures the preservation of the maximum amount of your own tooth. Porcelain inlays: Inlays are placed in the center of a tooth and bonded to it. They’re most often used for decayed or damaged teeth where the problem areas are shallow but wide, and near the outer surfaces of the tooth. Porcelain onlays: Onlays may be necessary where a previous large filling has failed and needs replacing or if there is a large cavity that needs to be repaired. Onlays are can also be used to repair damage to multiple cusps. Each option is helpful by giving more support to your remaining tooth structure while minimizing the chances that you will eventually require further treatment, such as dental crowns, bridges, or implants. Custom fitting: Inlays and onlays require minimal preparation and preserve as much of your tooth as possible. By using impressions of your existing tooth, a mold is created that will fit tightly to your tooth. Natural look: The porcelain used matches your existing tooth color and is unlikely to fade over time as resin fillings can. Easy cleaning: Because of their precise fit, inlays and onlays are just like your natural teeth, while also being less bulky than dental crowns, making brushing and flossing an easy process. They are also stain resistant. Natural feel: When correctly made they feel and function just as your natural teeth. Strength: Once bonded to your tooth, the porcelain inserts add strength and support to the damaged tooth. Long lasting: The porcelain material is quite durable and made to last a long time. Safe: The porcelain material does not contract or expand with hot or cold foods and drinks, meaning they will not crack your teeth. At NYC Smile Design, our goal is to save and preserve as much of your natural teeth as possible. Dr. Tabib and Dr. Mello have been providing exceptional cosmetic dental services in Manhattan since 1995 and continually strive to learn and implement the latest techniques to enhance your smile. If you’re interested in restoring your teeth with porcelain inlays or onlays, contact us today at 212-452-3344 to schedule a consultation. We proudly serve all of Manhattan and New York, NY.